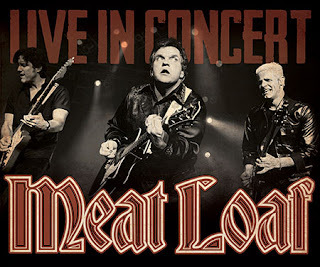 LOS ANGELES, Calif. (April 5, 2016) – Following a hugely-successful run of shows in the US, Grammy-award winning musician and acclaimed film, TV and stage actor Meat Loaf has announced several Canadian tour dates. 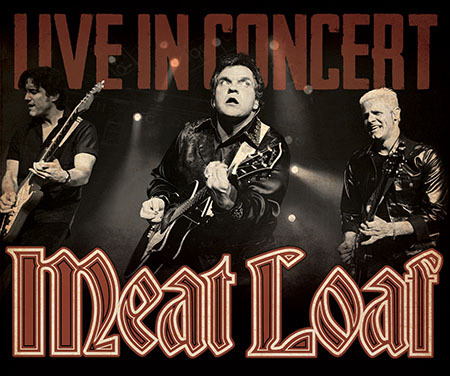 After kicking off on May 28 at the Rogers K Rock Center in Kingston, Ontario, Meat Loaf will take his high-energy, theatrical rock ‘n’ roll show across the Great White North with stops in Hamilton, London, Toronto and Ottawa, Ontario, Winnipeg, Manitoba, Moose Jaw, Saskatchewan, Calgary, Edmonton, Cold Lake and Lethbridge, Alberta and Penticton, Victoria and Abbotsford, British Columbia. Tickets go on sale Friday, April 8 at 10am EDT and will be available for purchase at ticketmaster.com. Whether he’s on tape, on screen or the performance stage, Meat Loaf’s powerful presence is always felt in grand style. The Grammy Award-winning musical titan exploded onto the scene with the breakout album, Bat Out of Hell. More than 30 years later, it has remained one of the top-selling albums in the world. Celebrated as one of the most extraordinary performers of all-time, Meat Loaf has appeared on Broadway and appeared in numerous films and television shows ranging from The Rocky Horror Picture Show, Crazy in Alabama, Tenacious D in the Pick of Destiny, and Fight Club to House, M.D., Masters of Horror, Hallmark’s Citizen Jane, Monk, Celebrity Apprentice, and Glee. The iconic performer continues to take center stage before packed concerts crowds, get rave reviews, and generate international headlines.